This September, New Mills will host a variety of activities for people of all ages to get involved in. From an afternoon foraging for fungi, spending a sunny morning chasing giant bubbles in High Lea Park to a family day out at a lantern making workshop, there will be something to tickle everyone’s fancy. New Mills Festival is a two week annual celebration of community spirit, which includes a diverse range of activities. 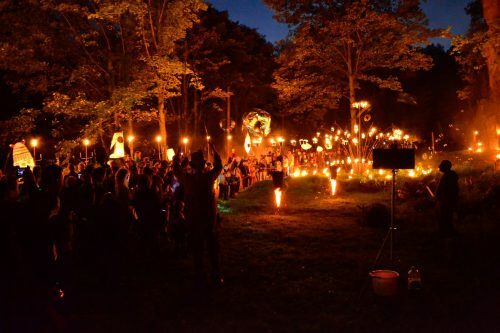 Featuring talks, walks, gigs, exhibitions, trails, quizzes and performances and concluding with a spectacular lantern procession through The Torrs Gorge and a street party in the centre of town. Around 15,000 participate in the festival fortnight each year. 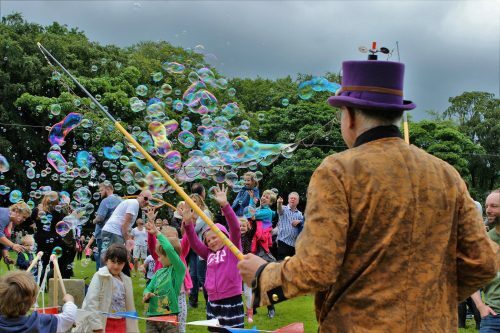 New Mills Festival is about creating events to bring people together to learn something new, get creative or be entertained. The festival is organised by a committee, who give their skills, time and energy on an entirely voluntary basis to enrich our community life. The festival is always looking for new events, artists and volunteers. See www.newmillsfestival.com for details.